Netmarble.com, a leading worldwide online game portal, is inviting players to experience the fun of its online casual board game, Dice Venture, and win big prizes in the process. Until Tuesday, July 9, players will have a chance to win prizes that include a Dell laptop, an iPad, a Galaxy S4 and even $1,000 cash. Interested dice rollers can visit www.DiceVenture.com to play the game. 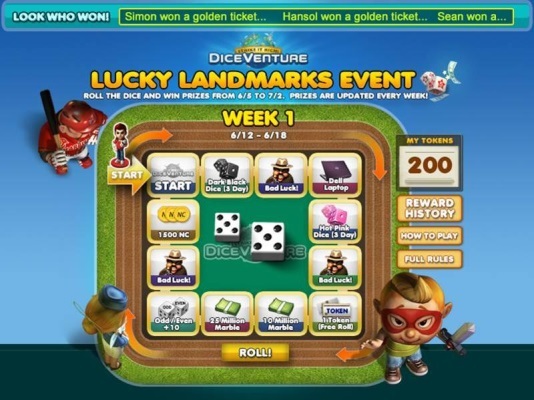 In Dice Venture, players roll dice to move around the game board to acquire property, constructing houses and other structures on the properties. The landmark is the ultimate building type, and prevents other players from being able to purchase the property from the owner. 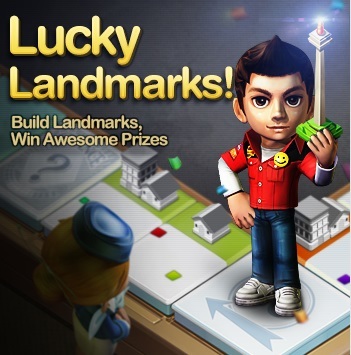 For each landmark built during the event period, players will receive a special coin, the Landmark Token, which can be redeemed to play a special mini-game. Lucky winners who land on prizes will receive them instantly in game. Additionally, players now can sync their Netmarble account to Facebook and share in-game achievements with friends.